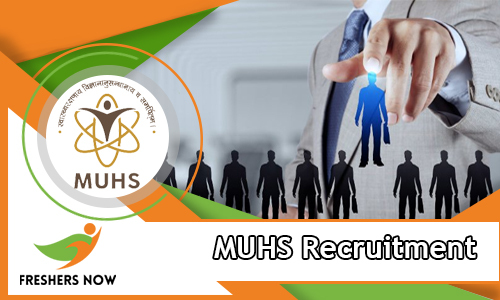 Latest updates about MUHS Recruitment 2018-2019 Notification is available in this article. The officers of Maharashtra Universiy of Health Sciences are ready to recruit talented and willing job hunters to fill up 138 Dean/ Principal, Professor, Lecturer, Reader, Tutor Posts. Therefore, aspirants who want work with Maharashtra Universiy of Health Sciences can apply for the post through offline mode before 28th April 2018. We had also mentioned muhs pay scale, muhs result, details in a detailed manner. Therefore, from this post, contenders have to know the information about MUHS Recruitment 2018-2019 Notification. Go through the complete article and know the complete information about Eligibility details. The authorities of Maharashtra Universiy of Health Sciences has issued MUHS Recruitment 2018-2019 Notification and application form submitting date is started from 6th April 2018. And the last date for the submitting the application form is 28th April 2018. Applicants are you eligible for these posts can apply for the posts. If you want to know more details about eligibility can check the official MUHS Recruitment 2018 Notification. We had also provided in this article complete details about Education qualification, Age Limit, Age Relaxation, Selection Process, Salary Details, Application Fee, etc., in a detailed manner. Therefore, applicants can check this article until the end and gather complete details about the MUHS Recruitment 2018 Notification form this page. Moreover, we had mentioned complete details about MUHS Recruitment 2018-2019 Notification for 138 Reader, Lecturer, Tutor Vacancies in the above table. Therefore, contenders can check the table and know details about Recruitment Notification. The officers of MUHS have mentioned complete details about Application Fee on the MUHS 2018 Recruitment Notification. For that reason, applying aspirants can read the Notification carefully and download MUHS Application Form 2018 from the official web portal @ muhs.ac.in of the Maharashtra Universiy of Health Sciences. Scroll down and capture complete details about MUHS Recruitment 2018-2019 Notification through this page. Therefore, contenders who are applying for MUHS Recruitment 2018-2019 Notification can complete your Post Graduation in any related stream with minimum qualifying marks from recognized University. Contenders who want to know more details about Education Qualification can check this article or the official MUHS Recruitment 2018-2019 Notification. The next eligibility criteria have Age Limit. Applying job seekers age limit not exceeding 64 years. Therefore, applicants go down and grasp all the information about MUHS Recruitment 2018 notification from this page. And also check the MUHS 2018 Recruitment notification once. At the end of the article, we had given MUHS Recruitment 2018-2019 Notification link. Aspirants can use that link know the full data about eligibilities. Most of the applicants don’t know how to apply for the MUHS Recruitment 2018-2019 Notification. For that reason, we had provided some steps about applying process in a detailed manner. Therefore, aspirants can use that steps at the time of applying for MUHS Recruitment 2018-2019 Notification. As per the rules of Maharashtra Government, the officers will select the applicants for Dean/ Principal, Professor, Lecturer, Reader, Tutor posts. Therefore, candidates can prepare well for any selection process. And also selected applicants will take the high pay scale along with grade pay from the officers of Maharashtra Universiy of Health Sciences. Contenders have any doubts can check the official web portal of the MUHS whether this information is correct or not. In this section, we had mentioned the post wise Education Qualification details in a clear manner. So aspirants can check this section. Dean/ Principal, Professor, Lecturer, Reader: Applicants who complete their Post Graduation Degree in concerned subjects with minimum marks from recognized University. Tutor: Should pass M.B.B.S. qualification or M. Sc. (Medical Anatomy) in particular subject as specified by M.C.I. candidate possessing Post Graduate qualification in a subject will be preferred. Refer official notification to know more details about Education Qualification rather than this. The Age Limit for the applying applicants should not exceed 64 years. Applicants who want to know more details about Age Relaxation can check the official Notification once. As per the rules of Maharashtra Universiy of Health Sciences, the officers will decide the application fee based on the category. The officers of Maharashtra Universiy of Health Sciences will select the applicants by conducting the selection process. Contenders refer MUHS Recruitment 2018 Notification to know latest updates on the selection process. Selected applicants can take good remuneration form the officers of Maharashtra Universiy of Health Sciences as per norms of the Maharashtra Government. Open the official web portal @ muhs.ac.in of the Maharashtra Universiy of Health Sciences. Search for the MUHS Recruitment 2018-2019 Notification link. And read the Notification carefully. Now, download the application form from the official web portal. Fill all the fields with exact information and attach all the documents to the application form. Therefore, contenders will submit the application form by Post. In the below, we had given the official address of the Maharashtra Universiy of Health Sciences. Applicants can use the above link to download the MUHS Recruitment 2018-2019 Notification – 138 Reader, Lecturer, Tutor Vacancies. We hope that above information is sufficient for all the applicants who are applying for these posts. Therefore, contenders stay tuned to our web page Freshers Now or the official web portal of the Maharashtra Universiy of Health Sciences to know latest updates about this article rather than this information.